A new life for Léonie and N’Dama! Great news: Léonie and N’Dama’s integration in the nursery group has started early this week! It started gently as the two girls are spending their mornings and afternoons in the forest with Tango, Tya, Labé, Sam and Baïlo, but still get their naps and spend their nights in their own cage. At the moment, it’s Tango who is taking Léonie under his wing, going with her in the trees, being the protective big brother! 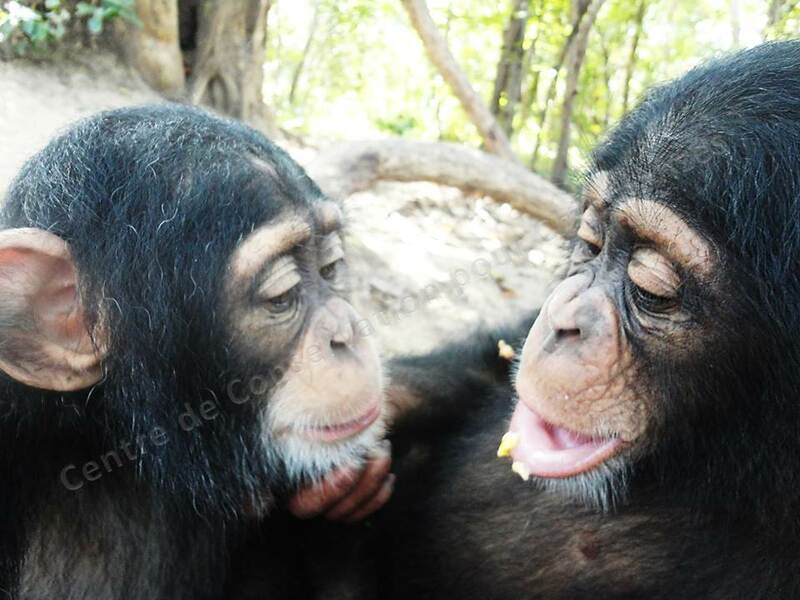 As for N’Dama, she found an attentive big sister in Labé, who is very affectionate with her. So far so good, but stay tuned!